We've helped drivers and homeowners save their cash for over 70 years. Get an idea of how we can help you. Former owner Dennis Alsop has been purchasing, restoring, customizing and selling collector cars for over 40 years. He has now passed on his knowledge to our brokers, who will be able to get you what you need. We have markets that offer great rates for your antique, classic and hot rod vehicles as well as the flexibility that you desire in a policy package. We offer stand-alone policies that do not require you to move your home and standard auto policies to us in order to cover your classic vehicle. If you have a good driving record we can offer you great rates on your car insurance. However, if you have a bad driving record, we can help you as well. We have insurance companies in our office that specialize in offering reasonable rates for those who do not have a good driving record, for whatever the reason. Our goal is for you to pay less and less each year. Call us for help. 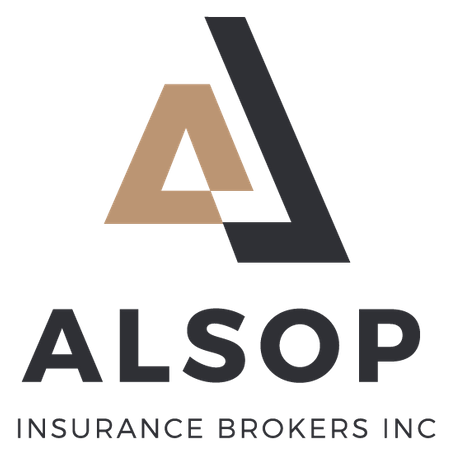 Alsop Insurance is a member of the Insurance Brokers Association of Ontario. We strive to offer excellent customer service and competitively priced products that fully meet the needs of today's insurance buyer. Our insurance brokers aim to provide peace of mind, and if there is a need to make a claim, customer satisfaction is of the highest order. We are here to protect your interests. We maintain strict privacy for all our clients. Refer a friend and receive a $15 Canadian Tire gift card as a little thank you from us. We'll also donate $5 to a $5 to a charity fund which is dispersed evenly between the Canadian Cancer society and The heart and Stroke foundation. Saved me $650 per year! "I received my auto renewal for the new year, and was not pleased with the premium. I was talking to some family members and they recommended that I talk to the brokerage they dealt with, Alsop Insurance gave me a quote that will save me $650 per year!" "Thanks for combining my home and auto policies with the same company for me. You have saved me $364.36 this year AND provided me with better coverage... I really appreciate the hard work you've done for me. Thank-you!" "We would like to express our sincere thanks for all your work to settle our auto insurance claim in a quick and professional manner. Not only have you made the process easy to understand, but your personal commitment to our needs remained clear. Your sincere efforts to ensure that we were treated with the up most respect and fairness in dealing with Alsop was outstanding!" "Yes, we have been very pleased with the service you have given us over the years - very responsive, friendly and competitively priced as well!" "The quotes I was receiving from other companies were so high. Alsop listened carefully to our situation and came up with a creative and affordable policy that didn't put us in over our heads. I found Alsop Insurance to be good listeners and flexible to meet my families' needs. I would highly recommend them to anyone who is looking for insurance because you will not be just buying a policy but joining a company you will get to know as 'good people'." "Thanks for taking the time to explain the various auto/home insurance options to me yesterday. It certainly was a worthwhile exercise ... I was able to maintain good insurance coverage and lower much cost at the same time. Thanks again!" "Just wanted you to know I sincerely appreciate all your efforts in handling my home and vehicle insurance. You always respond to my inquiries quickly with knowledgeable responses and go above and beyond in answering other questions in order for me to plan around changes and new vehicle purchases, etc. I am grateful for the pleasant and welcoming manner in which all the staff of Alsop Insurance provide such personalized service and work on my behalf to ensure that I get the best rates. It is because of my confidence in your excellent level of service, professional knowledge, cost savings and availability that I am pleased to continue with our longstanding relationship. Thanks!" Hi Jane. Thank you and thanks so much for making this process so easy. I was on the phone and on hold with my current insurance company for over half an hour when I gave up and called you. Glad I did. I'm in the service industry myself and I really appreciate the high level of service you've given me. A big thank you to Carol Lynne McBride at Alsop Insurance. Our annual trip to Hilton Head, South Carolina to enjoy some golf, fall weather and Christmas shopping was abruptly cut short thanks to a record high tide, in part created by Hurricane Patricia. This high tide rose way above recorded levels and flooded our car, making it irreparable and therefore a write-off. It's a very stressful situation, finding yourself 1600 km from home, in a different country, in a rental property, working with an unknown car dealership and no car. Carol Lynne provided excellent support and advice in working through the claims process and explaining our available options. Her knowledge, empathy and experience were very much appreciated. She also contacted the insurance company to ensure everything was being processed as it should be. What was a very unpleasant and stressful situation was made easier with the professional support we received from Alsop Insurance. Thank you again for being there Carol Lynne.